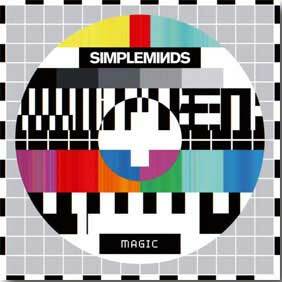 Their dalliance with acoustic versions of their electric back catalogue now [hopefully] over, It’s once again time to remember that I was a Simple Minds fan of long standing. 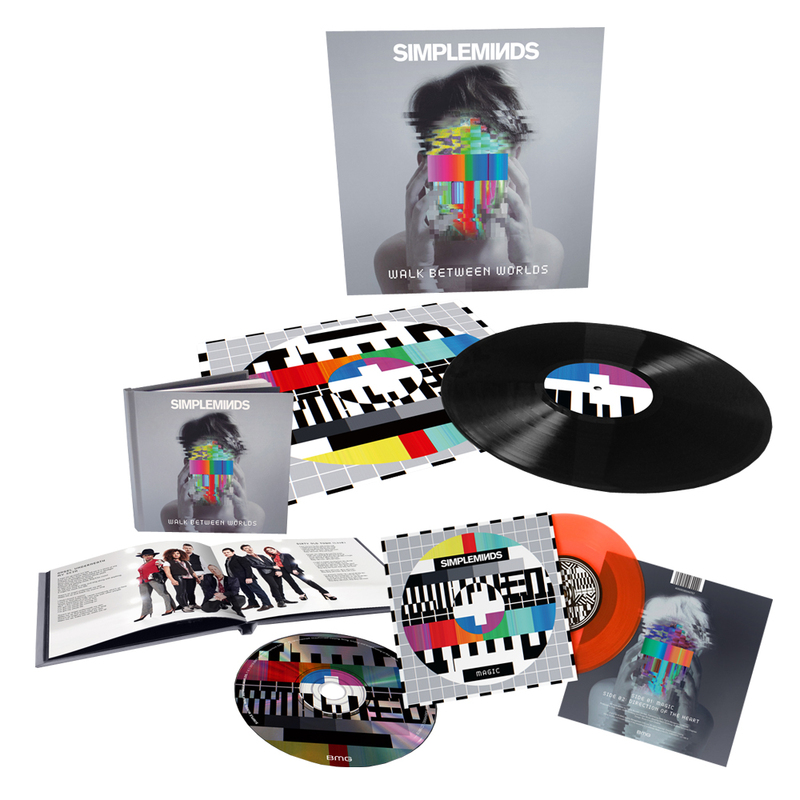 From 2015-2017 I watched the band, hot off the heels of the best album in decades from them, proceed to radically mutate into an acoustic Simple Minds cover band…during the tour for that album – complete with femme guest vocalists. Wha…?? I spent the last couple of years basically ignoring them as they mounted acoustic tours, lost long time members, released a dubious live album and a second acoustic live album/DVD/BluRay. When the email came from SM central trumpeting the new album, late last year, I had almost forgotten that I was a big fan. Sarah Brown is still rocking BVs. The album sees former drummer Mel Gaynor replaced by Cherisse Ossei [who has played live with them for the last two years], and longtime keyboard player Andy Gillespie out of the picture and supplanted by Gordon Goudie. Goudie had a history with the band between “Cry” and “Graffiti Soul” so he gets a pass. Ms. Ossei is an unknown quantity with me, but given the band’s penchant for programming drums on their recent albums, it may be that she will only factor in the live equation. The tragic Catherine AD is still around [rolls eyes]. Any woman in platform pumps is beyond contempt to my way of thinking. Time will tell if she is actually on the album as she tends to be live support only. Truthfully, I don’t see Simple Minds playing North American stages any time soon. Simple Minds are having a special 40th Anniversary tour but it’s surprisingly brief and has a strange format. First set – the new album. Then an interview onstage. Followed by classic repertoire. Can’t say I’d be up for a Simple Minds interview in the middle of a rock concert, but if that calls your name, here are the dates. The basic album has a svelte eight tracks and is said to clock in at around 40 minutes. In other words, a “classic” album like we used to get before the “CD bloat.” The CD is the casebound booklet kind and has three extra cuts. “Silent Kiss,” “Angel Underneath My Skin,” and [shakes head incredulously] “Dirty Old Town [live]!” The latter was a charity single that the band cut with a sports figure, Jimmy “Jinky” Johnstone back in 2002 when anything could have happened with Simple Minds. Seeing it pop up, in a live version, 16 years later, is beyond the pale. Personally, I’ve never heard the original since I considered it non-cannonical. This being 2018, there are a bewildering array of formats and bundles to pre-order. I spent weeks trying to glean what was on the B-side of the “Magic” red vinyl 7″ bundled with pre-orders, and thanks to the indispensable Dream Giver fan site [SM.com was surprisingly tight lipped on this important matter, especially when you are asking fans to pony up £30-75] we find that buyers of those bundles will be getting a new song, “Direction Of The Heart” on the 7″ only. Don’t be surprised if it turns out to be the Japanese Only bonus CD track. I know how these things tend to play out. “Magic” was the pre-release single and it got a video a few weeks ago. Let’s look, shall we? That’s the original director’s cut, by the way. I’m not sure how it finally ended up. Beyond not thrilled with clip. It’s more of a mo-cap/CGI/particle effects demo reel than a music video. Yet another music video from an artist on the far side of 30 who is not allowed to appear in their own clip. Ageist thinking. As for the song it seems like a return to the bright, shiny pop of the “Cry” album. Which I am okay with. It beats bloated, pious whalesong like that on “Street Fighting Years” and acoustic busking. I loved “Cry” and this felt like it would have been right at home there. Rumblings I’d heard about this single had prepared me for far worse. Compared to Duran Duran’s last forays into the dirty world of pop, this one smells like a rose. It won’t displace “The American” next to my heart, but I can certainly listen without flinching. I listened to it and “The Signal And The Noise” this morning since pre-ordering netted me two DLs, and after two listens, it’s hooks had already begun to take hold. 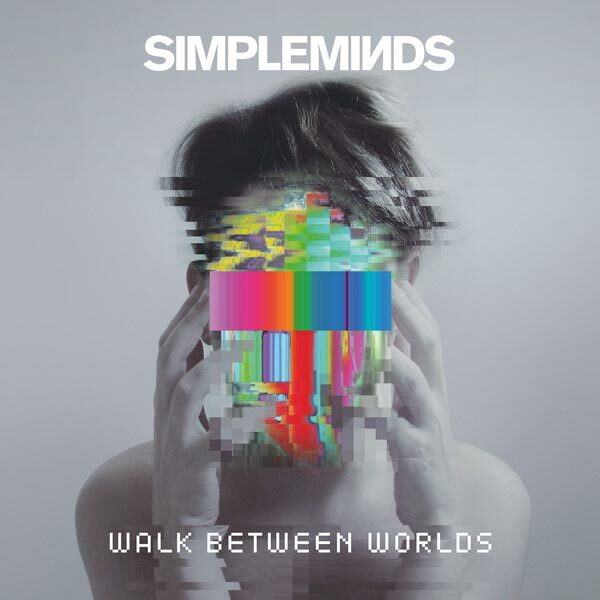 As well as they should for a song whose melody has been around on the back burner since “Good News From The Next World.” The album that finally convinced me that Simple Minds were coming back home after their decade of arena tours. As for “The Signal And The Noise,” it inhabited a darker place than the single, with DNA from “Sons + Fascination” still present in the mix while sporting very timely and relevant lyrics that were immediately arresting. I can’t say I have ever listened to Simple Minds for the lyrics, but these were grabbers right off of the starting line. This was a song as great as any of the best cuts from “Big Music.” Which made perfect sense since it was begun during those writing sessions for that album. I usually hate to sample things I’ve mail ordered but these two serve to inspire a fair amount of confidence. Which bundle did I end up buying, you ask? Well, I’m a stickler for getting all of the music I can provided it’s not a small fortune. I’m okay with deluxe bundles so I went with the LP/CD/7″ combo. That extra 7″ B-side wrung another £18 out of me. I could care less about LPs in the 21st century. The album is released on February 2nd, and any and all of the packages discussed may be pre-ordered here. 2-2-18, and for once it doesn’t matter if your are reading this in America, or abroad! In the meantime, here’s a Goldmine Magazine podcast where Jim Kerr was interviewed to keep you occupied. Keep your eyes peeled for the inevitable review, if we can ever finish the OMD Rock G.P.A.…which will return Monday, now that I have some feedback from readers to help me navigate forward. This entry was posted in Core Collection, Scots Rock, Want List and tagged 2018, Simple Minds, Walk Between Worlds. Bookmark the permalink. I’m still sitting on the fence on Magic. It is ABSOLUTELY a melody that rang familiar, but there’s a bit of SM by the numbers about the song. I am sure it will continue to grow on me, but for now it’s The Signal And The Noise that pushes ALL the right buttons. Sense of Discovery seems to be a reappraisal of an unreleased, but very available out on the interweb, LOSTBOY! AKA song. SM managed to breathe new life in Kill Or Cure on Big Music, so this might work as well. Echorich – “Magic” is not an entirely valid “new direction,” but even as a tributary, it beats the hell out of “Belfast Child,” doesn’t it? My signing David Sylvian in the show beats the hell out of Belfast Child…but I will give you that Magic is beginning to grow on me…I have decided that the video does the song more harm than good as well. Echorich – I was playing the pre-release DLs this morning while houseworking and I forgot to put both tracks on repeat, so just “Magic” played 4 times in a row before I corrected it. I can’t find much wrong with it at this point. The LP mix is longer so we’ll see about that, but the single mix makes it’s play and moves on quickly. I’m cautiously optimistic having heard Magic on the radio. Bizarre to stick an interview in the middle of a gig (although Bauhaus did something similar at a show once) and really Dirty Old Town??! SimonH – I have always hated platform shoes. Their return post-mid-70s has been a thorn in my side. Pumps are stupid to begin with. Bolting platforms on them goes beyond stupid into ludicrous territory. Thanks for the heads up regarding “The Signal and the Noise”! This should have been the lead single for this album. Was wavering on ordering “Walk Between Worlds,” but pre-ordered it based on this track. A SM tour of the US would be so very welcome, particularly in light of all of their ’80s peers that have been roaming our shores (I’m seeing OMD in NYC in February and caught Heaven 17, Psychedelic Furs, and The Damned–all amazing performances!–last summer and fall). BTW, I may not comment frequently, but I’m a dedicated reader of PPM. Thanks for all of the posts! Steve – Ah, so you caught H17 then? I can’t believe that I did not attend that show! I must be mental at times. When H17 play in America…you go! Even if it will cost! I should have rung up Echorich and we should have hit that show together. I’ve also had my OMD tix for a long time now. It’ll be here before I know it. Maybe I’ll be done with the Rock G.P.A. by that time. I can’t hold my breath for Simple Minds. I have seen them on each of their two US tours in the last 16 years. They won’t make a move in America unless there’s no risk at all. Unlike OMD and Midge Ure, who actually want to tour here. Ultravox couldn’t make it work when they reformed, but Ure realized that and toured on a set heavy with exactly what I wanted to hear in that regard, so I’ve almost seen my high holy trinity of PP bands, but it’s phyrric without having seen the full Ultravox lineup. No Billy Currie and Warren Cann. Yes! It was their first New York City show EVER, if you can believe that (and the tix were a very reasonable $30 for the intimate Highline Ballroom). I had hoped that Ware and Gregory would be backed by a full band, but most of the music (apart from what Ware played on this keyboard and, of course, Gregory’s terrific vocals along with a backup singer’s) was provided by another member working the laptop and music files. Nevertheless, it was a fantastic show and they played all the hits–including “(We Don’t Need This) Fascist Groove Thang,” “Crushed By The Wheels Of Industry,” “Penthouse And Pavement,” “Geisha Boys And Temple Girls,” “Play To Win,” “Let Me Go,” “Let’s All Make A Bomb,” “Temptation,” and more–plus they covered Bowie twice (“Let’s Dance” and “Life on Mars”), the Righteous Brothers once (“You’ve Lost That Loving Feeling”), and their ex-bandmates in Human League (“Being Boiled”)! Tim – I often shop in Target but can’t say I’ve ever gone into the CD/DVD department. Thanks for the heads up. We don’t have much of a choice, modern living in the USA, you know? Our local grocery chain was gobbled up last year by Kroger and the quality and selection vanished pretty fast and if you don’t like it where do you go to? Whole Foods? Same with household stuff, it’s pretty much down to Walmart, Target or Amazon. I used to enjoy hanging out in the entertainment section with my son and recently they’re really gutted the selection so there isn’t even that much to browse at and maybe find something to check out from the library. I find it odd that they won’t pay the licensing fees to have MUZAK in the store but all of a sudden decided that it was imperative to have Arcade Fire, Taylor Swift, St. Vincent and half a dozen acts I am not on familiar with on constant rotation in one place. Tim – You paint a terrifying picture of Consolidated America. As for the music, I’d wager that Target is marketing exclusive versions of those albums by those artists. Quite possible but (excuse me, takes a break from typing to shake cane and yell at kids in the front yard) I don’t know who a lot of these acts are and honestly the music all sounds the same and not in a good way. I do track the Taylor Swift career a bit just because she’s held up as some sort of role model for young women and uh, strikes me as pretty self-obsessed and toxic. Then that conversation spun in a really interesting arc when Ryan Adams covered her 1989 album and in my opinion made it a much more listenable album than the original & arguably his best release since Jacksonville City Nights. Tim – Ha! I’m so old I still think people are talking about Bryan Adams then they mention him! Am pleasantly surprised by this album, two moans: the mastering could have been better(low dynamic range but not fatally so) and keep the remote handy to avoid Dirty Old Town, so jarring, what were they thinking?! SimonH – Thanks for being our canary in a coal mine. I got my shipment notice so I’m probably a week or two out. Will be interested to hear other people’s take on it, nice interview in Classic Pop as well.